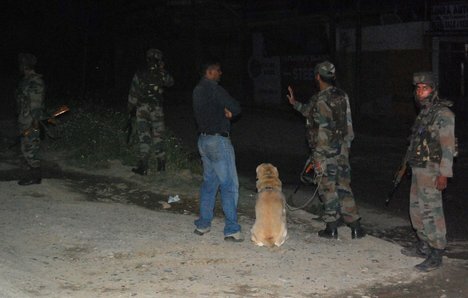 Driving from Jammu to Srinagar in the middle of the night we pass through 4 or 5 military checkpoints, and I’m starting to get a feel for why Arundhati Roy chooses the word “occupation” to describe the situation in Kashmir. I’m not ready to make a judgment on that either way, but I can say that of all of the places that I’ve been this year, the atmosphere I now find myself in most closely resembles what I experienced in the West Bank. Hurriyat, the separatist organization at the heart of the independence movement, is currently very active; there are daily releases of instructions and statements from party-leaders; and in our month here, regional political strikes were an almost weekly occurrence. The JKLF, Hurriyat’s military arm, has an ideology of Kashmiri self-determination and freedom (as opposed to accession to Pakistan, which I erroneously thought before coming here). Militancy was officially abandoned by the party in ’95, but there have still been deaths both during border clashes, disappearances, “encounters,” and protests. 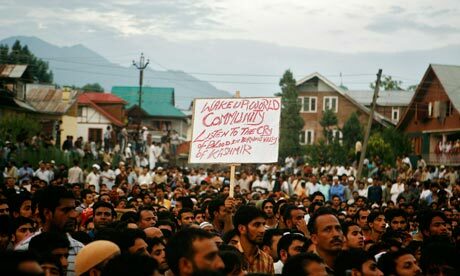 The last big flare-up was in 2010 when 112 locals were killed during region-wide protests over an alleged encounter that left 3 “Pakistani militants” dead at the hands of the Indian Army. The casualties were later established to be Kashmiri civilians who were lured to the border area and murdered by army personnel (presumably for cash compensation and/or promotions). The learning curve is steep, and Nandu and I have quickly adapted our vocabulary to suit our new friends. “Here in India” becomes “here in Kashmir.” The local “Indians” are actually “Kashmiris.” Unless of course we’re talking about “mainland” Indians. By which we'd mean the Central Reserve Police. And the Army. And Nandita. Everyone watches everyone here. NGOs—as they’re connected with foreigners and mainlanders—are suspect. As an “Indian” and an American here under the auspices of an NGO that we are building a new relationship with, and who are still figuring out the most basic rules of accepted social conduct for women in Kashmir (I have to train myself out of habits I didn’t even know I had—like dancing in the streets), Nandita and I aren’t getting the sense that attempting a public performance with—or even about—soldiers is a very good idea. We shift plans and keep a low profile, sticking to projects that might leave room for the theme without being overtly political. We conduct a devising class for young men at the local Government Degree College. We hold theatre workshops at an orphanage for young girls affected by conflict. The sessions are joyful and fun, and when it comes down to picking themes to devise around, war is the farthest thing from my mind. I’m thrilled by the girls’ suggestions and interests: “The Taj Mahal,” “London,” “The Moon.” When you’re in a conflict area, it turns out, one of the last things you want to talk about is conflict.